CLEVELAND, Ohio — John Hall was driven by crack and cocaine — so driven, he lost his wife, children and job.Hall, 51, of Cleveland, said the murder of his father, curiosity and the influences of the streets had led him to drugs. He said he hoped the drugs would take away his pain. But Hall said pride prevented him from receiving help from his family, so instead he slept in parks and abandoned homes. And even when his reckless lifestyle led to four stints in prison, he didn’t change his attitude. “I felt that there was no chance for me, that life was over for me,” he said. In November 2011, Hall got into an argument with another man, who then got into his car and rammed it into Hall several times, pinning him between a parked car. Once his attacker sped away, Hall tried to get up, but it was impossible because his right foot was turned in the opposite direction, the heel of his foot now where his toes should have been. He passed out. A good Samaritan took him to MetroHealth Medical Center that night, but he had to wait two weeks before having surgery. His sister then tried to find him a place to stay while he recovered. That’s Hall’s sister found out about Joseph’s Home. Joseph’s Home is one of only two agencies in the state that provide transitional housing for homeless men who are suffering from acute medical conditions. Joseph’s Home also helps residents find jobs, housing and other programs to help improve their lives. Joseph’s Home is one among 20 human-service agencies featured in Holiday Spirit, an annual effort by Plain Dealer Charities to help human-services agencies during the holiday season. To make a secure donation to this year’s campaign, go to cleveland.com/holidayspirit or use the contributors form on B2. Hall had to make some changes: Joseph’s Home requires residents to take part ina number of programs such as life-skills classes, chemical dependency programs and money management. Hall went further, however, enrolling in anger management, basic computer classes and intensive outpatient and after-care programs. He will start working toward earning a high-school equivalency degree in January. Hall shares his story with youths at the Cudell Recreation Center and packaged and served food on Thanksgiving at St. Augustine Church. Hall, who has been sober for a year, is grateful for the love and support of his mother and sister. He also credits the staff of Joseph’s Home for changing his life. Georgette Jackson, executive director of Joseph’s Home, beams with pride when she talks about Hall. 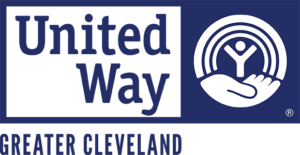 Another agency that benefits from the Holiday Spirit Campaign is Family Promise of Greater Cleveland. Family Promise provides transitional housing for families, including emergency and interim housing, along with community-based services to ensure family success once they have found their own housing. The agency also directs residents to a number of programs to help them become self-sufficient and better themselves. In December 2010, Jewell Dunner, 23, and her then 1-year-old daughter, Samadia, were evicted from their home. They stayed with distant relatives, but after a month it was obvious that the arrangement was not going to work. Her relatives referred her to Family Promise. Family Promise made sure Dunner learned how to do things on her own. She had to learn how to set goals. Once she was given the tools to succeed, she was expected to find a job and housing. While at Family Promise, Dunner found a listing to rent a unit of a two-family home in Garfield Heights. The owner specifically sought tenants who were homeless. The rent: $250. She moved in after spending four months at Family Promise. But Dunner, who lost her mother at an early age and spent about five years in foster care before being adopted, also hoped to someday have a home of her own. That hope may also be fulfilled: Her landlord is so impressed with how Dunner and her husband of almost a year, Chris, a landscaper, have tended to the house, she will allow them a chance to purchase it before she puts it on the market. Dunner took a part-time job and enrolled into the Cleveland Institute of Medical Massage in Middleburg Heights. Two days a week she would get up at 4 a.m. to catch the bus so that she could arrive at school by 8 a.m. After a full day of classes, she would get home by 9 p.m. Two days became four when the program required her to complete several hundred hours of training. Dunner often helps others, offering advice, words of encouragement and a meal to the families who have moved in below her who were also homeless at one time, but she said she wants to do more. Influenced by her childhood social worker, she will soon pursue a degree in social work. Ken Komperda, a community-based case manager for Family Promise, sounded like a proud parent when talking about Dunner. “She’s come a long, long way. From the beginning she was very determined and passionate about becoming independent and self-sufficient,” he said. “She has become a support system for other families. These are just a few of the ways that Dunner expresses her gratitude for the help she received at Family Promise. “They let me know that I wasn’t alone and that other people were going through the same thing I was going through,” she said. “They taught me to pay it forward.